Solaron, Inc. has been family owned & operated for over 20 years! 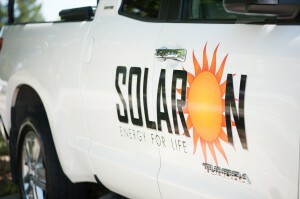 Here at Solaron we take pride in offering you the best products, energy solutions, installation and customer service. We are an Authorized Dealer for SunPower photovoltaic products, Heliocol swimming pool panels, and Pentair pool products. With two decades in the business, we are confident in saying that we truly believe we provide the best solar experience in the Sacramento and Bay Area!